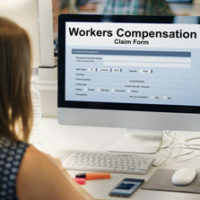 Workers’ compensation is an extremely complex area of law that laypeople are nonetheless expected to navigate successfully on their first try. As a result, there are multiple misconceptions that persist among those injured on the job. It is critical that you understand what information is accurate and what is not, lest you wind up relying on something that is wrong and jeopardizing your workers’ compensation claim. Myth: I cannot file a workers’ compensation claim if the accident was my fault. Truth: While certain accidents are barred from the workers’ compensation system – for example, if an employee is intoxicated on the job – any accident which is not determined to be reckless or willful is grounds to file a claim. Myth: All your injuries will be covered by workers’ compensation. Truth: Not all injuries are covered – in most cases, only up to 80 percent of one’s weekly wage is paid out in benefits. Florida law also bars certain types of claims, such as those where substance abuse plays a role (that is, if someone is intoxicated and injures themselves at work). Until recently, claims for emotional or mental trauma or conditions like posttraumatic stress disorder (PTSD) were also disallowed, though earlier in 2018, after the Parkland high school shooting, a bill was passed into law covering such conditions. Myth: You can be fired or otherwise disciplined for filing a workers’ compensation claim. Truth: Not only can an employee not be fired for seeking workers’ compensation after an accident, any attempt to do so may be actionable. Someone who feels they have been unfairly terminated or disciplined solely in retaliation for a workers’ compensation claim can file a charge with either the Florida Commission on Human Relations (FCHR) or the Equal Employment Opportunity Commission (EEOC). Myth: An injury has to take place on the employer’s property in order to be eligible for a workers’ compensation claim. Truth: If you are off the employer’s premises, but are acting within the scope of your employment, your injury will generally still be covered as having happened on the job. This is a very common situation for workers in highly mobile jobs, such as truckers, airline flight attendants, or delivery drivers. If you are in an auto accident while engaged in business for your employer, your injury is considered as having occurred while working even though you are off your employer’s main premises. Myth: An attorney is not necessary to file a workers’ compensation claim. Truth: While it is not absolutely required to hire an attorney, it is generally a good idea simply because the rules surrounding injuries and benefits are extremely complex. This applies even more if your injury is one which aggravates an old hurt rather than causing a new one – it can be difficult to determine how much of your pain and suffering was caused by the injury versus having existed already, and very often, claims are denied on this type of basis. It can be easy to get frustrated with workers’ compensation details and requirements. The Orlando workers’ compensation lawyers at the Hornsby Law Group are well versed in this type of case, and are happy to try and help guide you through to make the process a little less scary. Contact our office today at 866-300-5468 to schedule an appointment.